How does moudly odor appear? 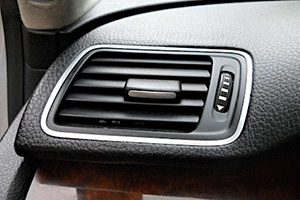 Moisture accumulates on the vapor source of conditioning and ventilation system through which cooled air gets into a car’s compartment. The surface of vapor source represents perfect conditions for generation of invisible bacteria. Warm and wet climate is the optimal environment for such microorganisms. These bacteria and their microbial products are the causes of bad odor. That’s why it’s required to clean periodically conditioning and ventilation system from bacteria.